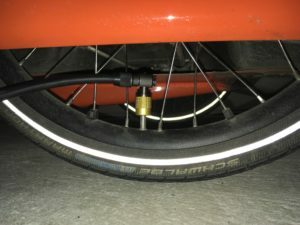 When I lowered the front suspension of my Quest, I found out that it’s very difficult to put air in the front tyres with my old bicycle pump, because the valve head is so big. So I decided that I need to find better options. Fortunately, Wim Schermer has found Birzman pump and wrote about it in his blog . Then I found a Birzman Maha Apogee IV pump from Bike Discount , so I ordered it. The valve head of the Birzman pump is considerably smaller than the valve head of my old pump. The photos above shows the very reason for why I need such a pump. 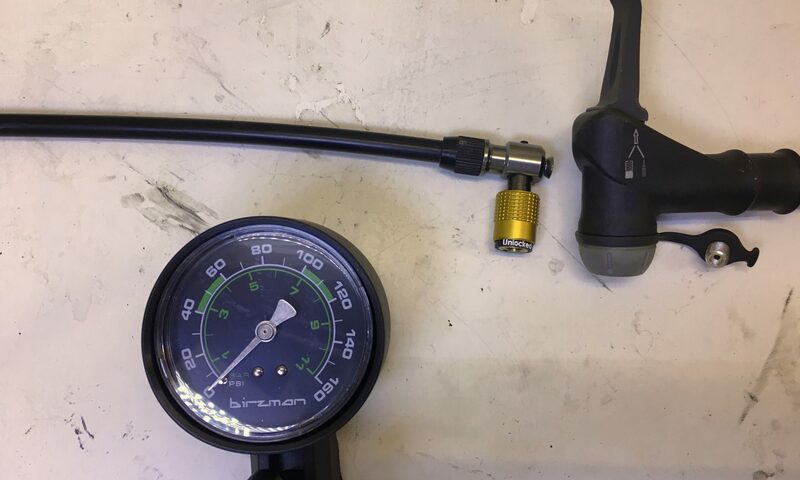 Using Birzmanin valve is slightly different than a conventional valve head. Birzman valve head has a collar, which must be pressed into the locked position and then rotate it to the tire valve threads. When taking the valve head out of a Schraeder valve the collar is pulled to the unlocked position and then rotated out of the valve. 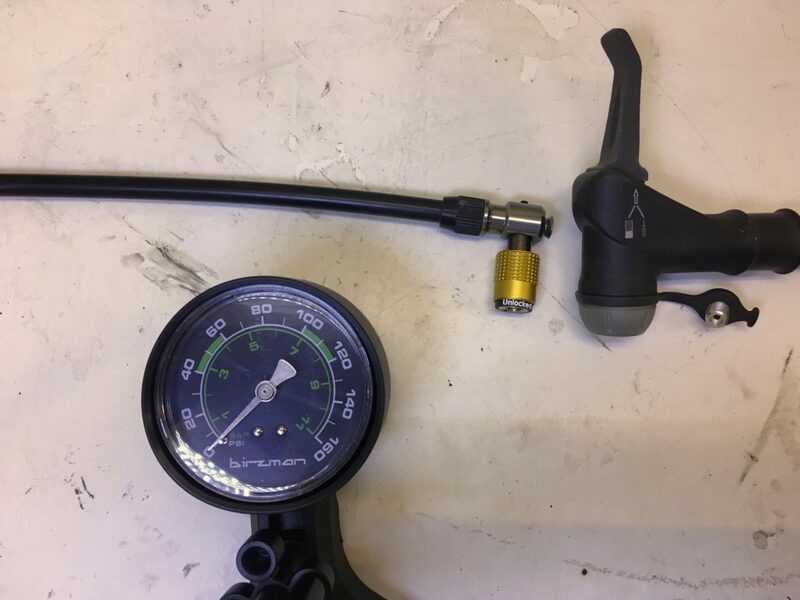 With a Presta valve you just have to pull the collar to the unlocked position position and then the valve head is released immediately. It took some time before I learned how to use it. See from the following video how it works. 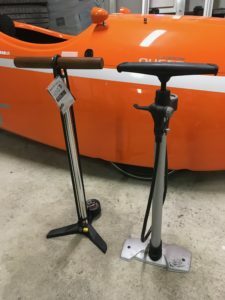 I think the plastic foot of the pump is slightly crooked, so the pump can not quite keep straight, but I don’t care about that. 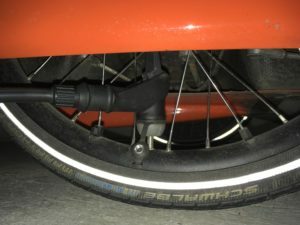 The barrel of the pump is tilted about 5° towards the user. It should make it easier to use, but I’m not so sure about that. For me the most important thing is that small and surprisingly well-functioning valve head. Matalin kohta, kun kuski istu kyytillä, on n. 35 mm. Mitta se on vain 10 mm vähemmän, kuin alkutilanne. On täällä jo ajokelejä. Eilen kävin vähän jo testailemassa. Joo tuntuu taas vauhtia olevan. Mutta se varmaan johtuu monesta eri asiasta. Jalka aukot on varmaan yksi. 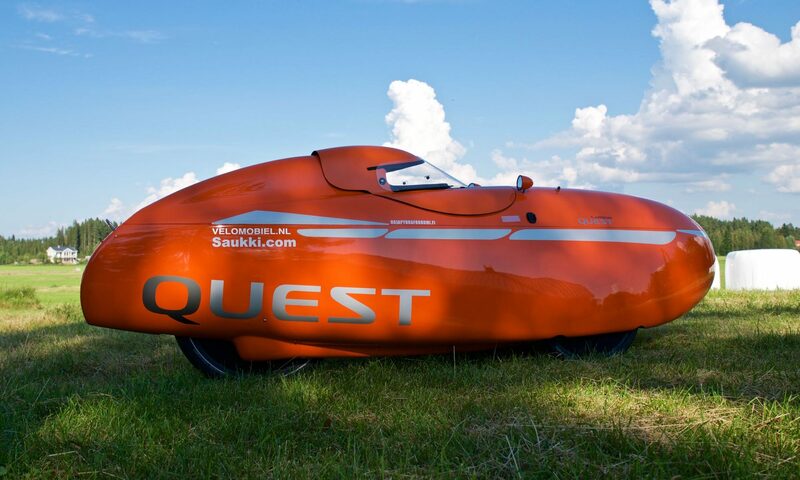 Sitten ne mun tekemät päivitykset varmaan vaikuttaa myös ja se, että oon talven aikana ajanut aika paljon trainerilla, niin oon varmaan myös ihan ok kunnossa.